I was one of the panelist for Indiantelevision.com seminar on Telugu News Industry. After the discussion - indiantelevision NT awards were held where TV9 swept 12 awards. Below is an article published in www.indiantelevision.com about the panel discussion I participated. NEW DELHI: Consolidation is the only way forward to beat the clutter in the Telugu news channel space, senior industry experts said. With 12 Telugu channels crowding the marketplace and jostling for a share of the Rs 1 billion ad market, there can be space for only the top three players in the long run. Distribution costs are also wreaking havoc as politicians and real estate owners are busy launching news channels. “The news consumption in Andhra Pradesh is much higher as the state witnessed many events in 2009. A lot of infrastructure and political players are pumping money which can create ripples in the market. TV9, however, sits pretty with an almost 50 per cent share in revenues,” said TV9 Editor - Input Dinesh Akula, while speaking at the NT Awards summit. 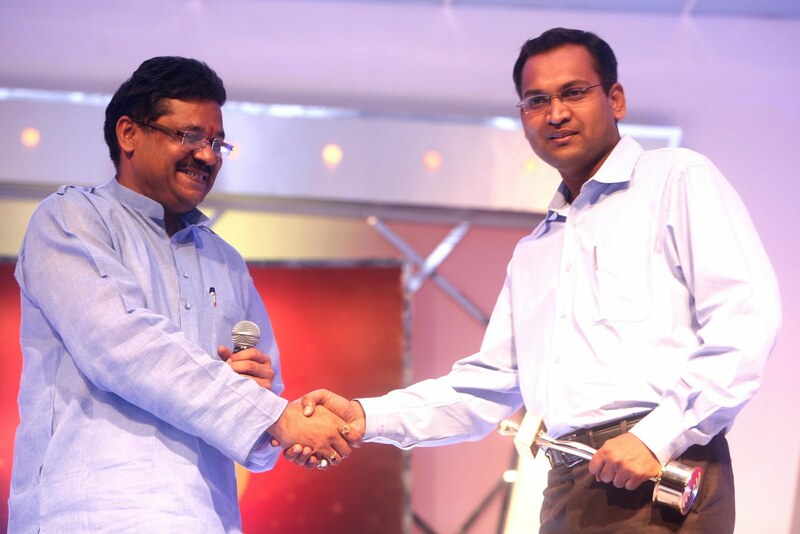 The session, "The Telugu News Titans," was moderated by Indiantelevision.com founder and Editor-in-Chief Anil Wanvari. Having invested Rs 1 billion in setting up the infrastructur (including HD), Saakshi TV will take longer to break even. Saakshi TV marketing director Rani Reddy, however, said there is no political affiliation and the news operations is run like an independent business. Incidentally, Saakshi TV comes from the house of Saakshi Telugu daily owned by YS Jagan Mohan Reddy, son of former chief minister YS Rajasekhara Reddy. “We launched during recession and we came with our eyes open. We invested on HD because we wanted to be ready for the future. The newspaper business is run as a profitable venture. We have the same approach in the TV news segment,” said Rani Reddy. Talking about the slowdown and non-serious players in the market, HMTV’s Editor-in-Chief K Ramchandran Murthy accepted that they had not anticipated the market would get so cluttered. "We are in the serious news business and staying away from any type of sensationalism. We believe that will lead to our success," he said. On the content front, Zee 24 Ghantalu channel head Shailesh Reddy said that as the Telugu industry is mainly cinema and entertainment driven, the viewer wants to watch news in a movie style format. “When there are so many players, you have to do more value addition. Let the viewer decide if it is news in entertaining format or sensationalism,” he said. Akula raised the concern that there are copycats in the market and there is no innovation. “Some players just copy the graphics and tickers even. What can you do? We need training centres to teach journalism. Lots of people with no understanding have become journalists overnight and are getting obscene salaries,” he pointed out. Distribution is a big hindrance. Said Murthy, "Some MSOs are even dictating content. They threaten to block the channel if you show any news against their political connections." Wow 12 awards, well done! !